On 'Antiques Roadshow,' a woman brought in a ring she won at an auction about two or three years ago. She paid just $30 for it, thinking it was just a cubic zirconia. When she got it home, she noticed it was a lot nicer than a cubic zirconia. It had a lot more sparkle, and the band wasn't silver, it was platinum. It turns out her suspicions were right. 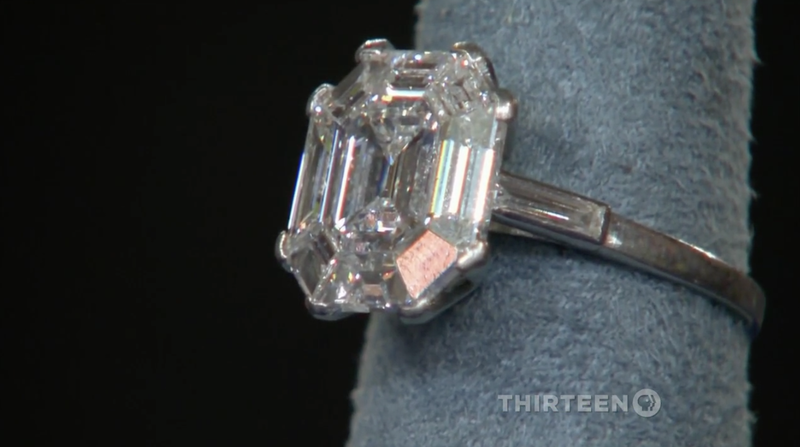 The appraiser said the ring dated back to the 1920s or 1930s ... and would be conservatively worth $25 to $30,000 retail. The woman had just one word for the reveal: 'Amazing.' She repeated it a few times after learning the ring's true value, saying she was in shock. Facebook fans were just jealous, saying they'd love to wear the ring even if it wasn't worth a fortune.